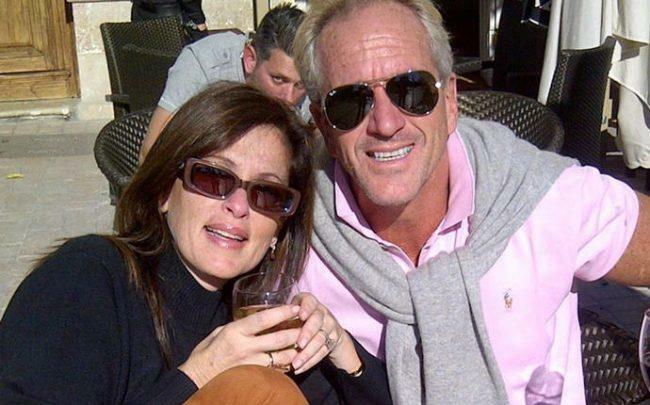 UPDATED, March 20, 11 p.m.: Alejandro Aparicio, the ex-boyfriend of the real estate marketing executive Andrea Greenberg who was charged with stealing from her estate, died on Sunday in an apparent suicide. Aparicio rammed his motorcycle head-on into an 18-wheel truck in the Everglades, sources told The Real Deal. The Miami-Dade Medical Examiner confirmed Aparicio’s death, but spokesperson Martha Diaz said the case is under investigation and she could not release any information. Late Sunday afternoon, Aparicio, 59, posted a note on Facebook apparently addressed to the late Greenberg, the Miami Herald reported. “I can’t bear any longer the never-ending yearning to feel the warmth of your skin, the smell of your neck, the sparkle in your gaze, your sweet smile, the joy of your laughter, the flawless beauty of your face looking down on me,” he wrote. He then got on the road. Greenberg died Oct. 9, 2017, from an opioid overdose involving fentanyl, the Miami-Dade Medical Examiner ruled. Aparicio, who was with Greenberg for 17 years, found her unresponsive body in their home and called 911. Eleven days later, on Oct. 20, Aparicio submitted her purported last will and testament, according to the Miami Police arrest affidavit. The document would have given him control of Greenberg’s assets, including her home in the Morningside neighborhood of Miami, at the time valued at $600,000. Miami Police launched an investigation last February based on suspicions about the circumstances surrounding Greenberg’s overdose. That probe was prompted by her sister, Valerie Greenberg, and several work associates. Last month, authorities charged Aparicio with grand theft, organized fraud and forgery for allegedly submitting a forged will, which would have made him the sole beneficiary and executor of Greenberg’s $1 million estate. The Miami Herald first reported the news of Aparicio’s death.